National Hammock Day was in July, but there’s still just enough time left in summer to get caught up in the new “hammocking” craze. 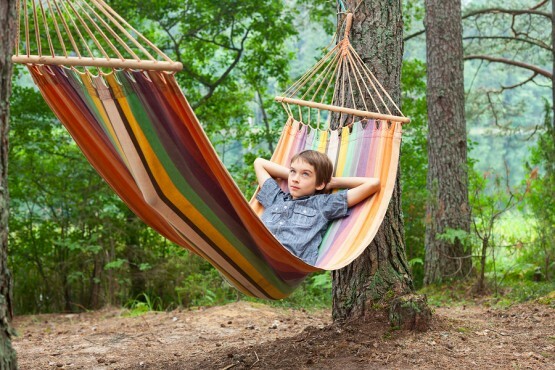 Though hammocks have been around for hundreds of years, this summer, groups of young people found themselves taking the relaxation tool to new heights. Most people use hammocks at home but these teens, also known as “hammockers,” have been buying portable, easy to carry hammocks and setting them up at different places. Some of them even string up multiple hammocks in the trees, creating the perfect hangout spot for a warm summer day. There are even different types of hammocking, like extreme hammocking and freestyle hammocking. Extreme hammocking is when a hammocker sets up a hammock in a hard to reach or especially high place. Freestyle hammocking is stringing up a hammock anywhere possible, such as in a big city. Of course those are for more experienced hammockers and any newbies should always hammock in a safe place with supervision. So what do you think? Could hammocking be the next big thing? Vote and share your thoughts in the comments! We’d like to hear from you! Send your ideas for the next big thing to nbt@channelone.com. It’s just not because it’s been around for ages!